Age is a funny old thing, and as our relatives get older, their health condition can change dramatically within a short space of time. From mental health to problems such as poor eyesight, limited mobility, and other health issues, it’s important to look out for any elderly people in your life in case their condition deteriorates and they need assistance. You should also bear in mind that if they do experience any of these problems, they might not be the ones to notice or acknowledge them. So here are a few easy ways to evaluate their health yourself. Many people believe that smelling of urine is a natural part of getting older, but this really isn’t the case. If you are noticing that your elderly relative is starting to smell, look unkempt or struggling to maintain their personal hygiene in other days, this could be a warning sign. There could be various reasons behind this; perhaps they are suffering the onset of dementia, or struggling with their mobility. But as a family member you should try to get to the bottom of the cause. From minor areas where their housekeeping standards have slipped to issues where your relative’s home is falling into a state of poor condition, evaluating areas of the house can determine the tasks that your relative is struggling with, if any. Assess the cleanliness of the kitchen and bathroom, note whether post and paperwork is beginning to build up, and see if they are stocked up on supplies or running low. If any of these things seem below standard, then it could be a sign that they require a little extra help around the house. 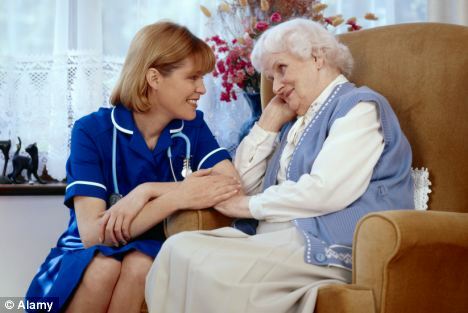 Home care can take responsibility for the tasks that your relative no longer can, if you or your family are unable to commit to regular visits. A change in routine or their attitude might also indicate a decline in your elderly relative’s health. If, for example, they have stopped going out to their weekly clubs, or they seem less chirpy than usual, these signs could add up to warn you that something isn’t right. It isn’t only physical health that you need to be aware of in your elderly relatives, but their mental wellbeing too. Depression in older people is common, especially if they are living alone, so evaluating an elderly relative extends to their happiness as well as their health. The next time you check in on your family member for a cup of tea and a catch up, switch on to the condition of your relative and their home. Spotting subtle signs early can ensure that you are proactive in dealing with deterioration in mental or physical health, or emotional wellbeing. And by taking the time to evaluate their condition every once in a while, you can rest easy knowing that they are receiving any help necessary and living in a safe and happy condition. Article from Kelly Gilmour-Grassam, a freelance copywriter with a love of international food. This article was written with helpful advice from Locala HomeCare. How Do I Choose A Pet With My Skin Condition, Eczema?